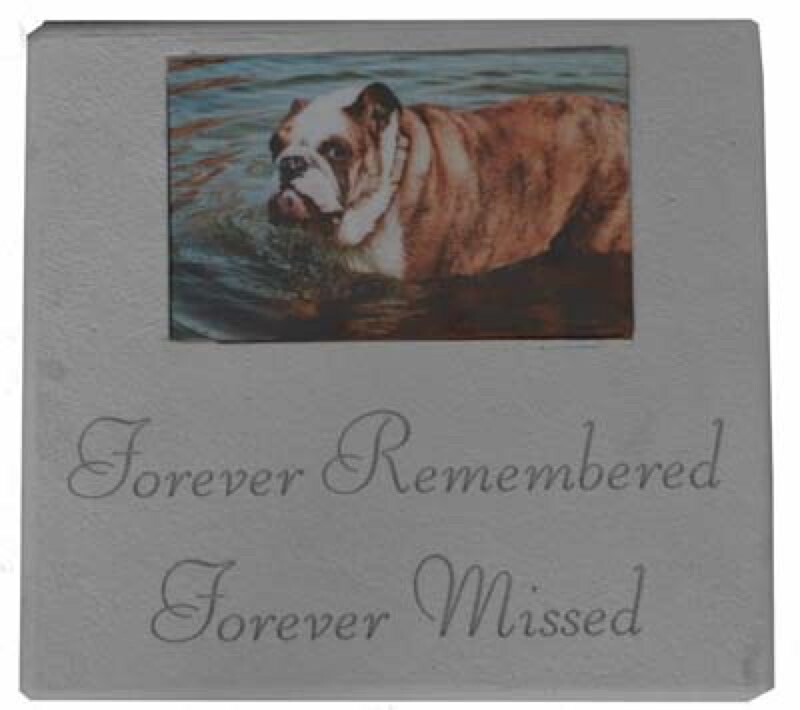 Photo Memorial Stone Forever Loved..
Home > Memorials > Memorial Stones > Photo Memorial Stone Forever Loved..
Treasure the memory of a loved one with their photo inset into a memorial stone. The stone can be used outdoors. Made in USA. - Size: 10.25" x 9.5" x 1"
- Photo insert: 4" x 6"
2. Email the photo to us at [email protected] Please include your Order Number on the subject line so that we can associate your text with your order. We will convert the photo into a porcelain photo so that it will last forever and attach it. 3. Your memorial is shipped to you. We email a ship notice with a tracking number.